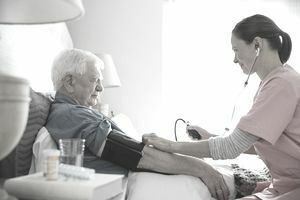 Home caregivers cater to the personal needs to seniors in their homes, including help with bathing and dressing, light housework, some cooking, transportation needs to doctors, stores, church and more. The need is simple but absolute. As we grow older, we need help with tasks and the choice is often to get help from adult children, get outside caregiver help, or move into expensive senior living homes. Many seniors either don't have or are not close to adult children who can help, or those adult children do not have the time or ability themselves. The qualifications at this time are relatively simple. You have to be able to take care of someone else like you do yourself, you have to have time, and you have to be organized and on time. In some areas of the country, you may take a licensing test which gives you additional credibility and this may be required at some future time. Typical fees that are charged to clients are between $15-25 per hour based on geographic location and the references that can be given. Typical fee schedules for a startup business are approximately $15 per hour. Within the first year, fee schedules are generally increased to the $20 per hour range. A good calendar/contact system such as that found in Microsoft Outlook is all that is initially needed to maintain your appointments and this can be used for maintaining many simultaneous appointments. Even if one does not own MS Office, a similar functioning online calendar version is available at SeniorMag.com for use at no charge. Few caregiver offices are located outside of a home office, so costs of startup are only that which would directly relate to the business itself. Business start up costs would, therefore, be limited to the cost of business forms and documents such as business cards and work order/invoices. These were priced out online and are listed below. Getting started is relatively easy. First, do a bit of online research into services that you would like to offer. This can be accomplished by visiting many websites of companies that offer these services, and then choosing which services are appropriate for your circumstances. Develop your offering, a computer printed single page brochure that explains your services, and your list of where these are to be distributed. Likely places include church bulletin boards, community bulletin boards, mailings to local hospital social workers who help seniors arrange services, and other senior services professionals in your area like a local Area on Aging. There are also online directories that you can get into quite cheaply. Be careful how you do this however, as some have readers while others do not. Good ones can easily produce several clients per month. Your phone will certainly be one of your best business friends. Call local organizations, churches, and businesses that deal with seniors and introduce yourself. As much business as you can raise with non-personal contacts, you can raise twice that much by introducing yourself and leaving a business card.